Tennessee Dalmatian Rescue View other Dalmatians for adoption. SAYDEE is a pretty dalmation mix who has 101 reasons why you should adopt her. She is cute, playful, smart, loving, spotted, learns quickly, HW negative, weighs 45 pounds, has a patch over one eye, has had some agility training and did well, is up-to-date on shots, spayed, microchipped, fun, need we go on? This 4 year old sweetheart needs to be an only dog. If you can provide that, please give this girl a chance. If you live in another state, don't let that stand in your way. 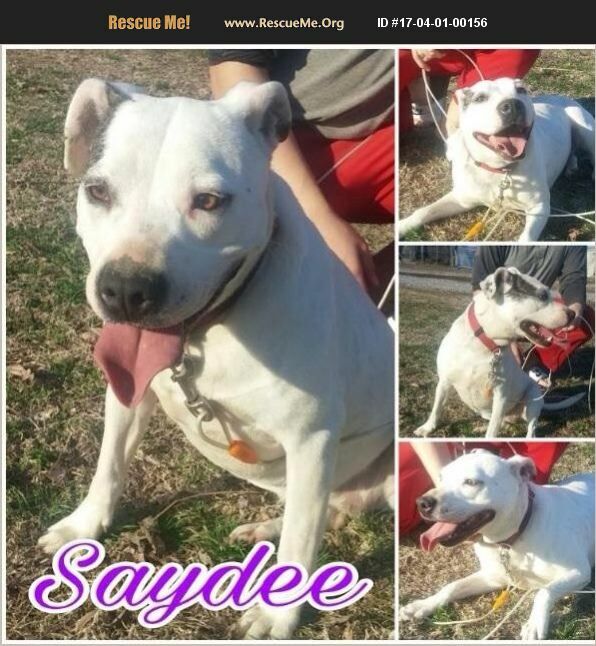 We will work to transport Saydee if it means she will have a good forever home. Please note: a home without other dogs or chickens would be best. If you are another rescue group, we will waive the adoption fee but you can make a donation toward vetting at your discretion. The adoption fee will help our 501(c)(3) non-profit rescue to cover the cost of the veterinary care she has received.